You beautiful young women. You deserve to feel the beauty of this life. You deserve to be connected with yourself. You deserve to receive love. You deserve to give love. You deserve to make mistakes without blaming yourself. You deserve to discover the world. You deserve to discover yourself. You deserve to find the deeper meaning of your life. You deserve to be loved for who you really are. Even if you don’t feel like a brave woman right now, you still are. Maybe you are even braver than any other women around just for the simple fact that you are fighting a battle. I know from a personal experience how hard and terrifying this battle can be. I’m writing this letter to you, to give you some extra motivation, inspiration or just to sparkle hope. Trying to fit it, while I always felt so different. Trying to fit in, while I never felt at home. Trying to fit in, while I was never really happy. My high school period was a dark one. I felt like I was locked up in a really unhealthy system. I had a lot of physical problems (which I now understand as emotional problems) and my insecurities about myself became bigger and bigger. I remember walking in the school halls and every step I took my legs were getting heavier and heavier. I constantly felt the need to look up for air. On the surface my life looked perfect. I was in the the ‘popular’ group, I had a lot of friends and the boys always wanted my attention. My grades were perfect, same as my behaviour in class. But behind the surface something was growing. Something really unhealthy. Something I wish I could have changed at that time. But I didn’t know how to. Deep down within my soul. I was creating a -self blaming, insecure, low self-esteem, lack of confidence, perfectionism, never able to release any emotion- young women. In my personal opinion your teenage years must be the years were you can discover yourself in a sacred and safe environment. But this environment wasn’t there for me. In a family where I didn’t always feel safe it was hard to fully discover the beauty of myself and the world around me. Because of some traumas in my childhood and teenage years, combined with my highly sensitive energy and never learning to talk about my emotions, to show emotions or to show love to others, I just simply never learned to express myself. I created this perfectionism to keep others around me happy. Everyone around me, except myself. It made me crash. I fell hard. I lost myself. During university I started to control myself in extreme ways. In order to deal with all my emotions, traumas from the past and everything else, I created anorexia. Luckily I only suffered from this for about one year, before I started to find help. This is a terrifying disease, that breaks your body your mind, but most of all your soul. To starve yourself for months, it was an extreme way to deal with my self-hatred believes and behaviours. Next to this I created a depression and had suicidal thoughts almost every day. For a long time, it was dark in my life. The only thing I did was survive. Fighting the battle with myself. The battle with life. But when I lost myself, I also found the connection with my real self. With someone I didn’t know at all before. With the real me. At one point, there came light. My light was Kundalini yoga. Suddenly it was there and it never left my life. Step by step. Most of the time, tiny baby steps. And believe me, there was no straight line in connecting back with myself. Ups and downs. And again here, more downs than ups. I found my own way of healing. This was without any medication, I refused to take any of these. I found my own natural medications.In the next blog I will explain you more about my path of healing. And I realized, I am not the kind of women who spends hours getting ready. I don’t blow dry my hair. I hate make up and I don’t like to wear a bra. I am passionate and restless and wild. I’m exhausted by ‘how things are supposed to be’. I’m as strong as I am broken. I connect myself each day with my own breath. I will sweat and I will run. I will let the rain come down on me. I want to feel life as I am. Right now. I’m surrounded by beautiful women who also broke the same cycle, brave women. In my next blog I will tell you more about my natural ways to heal myself. If you wish to make a major shift in your present life, feel welcome to join our holistic program for women who struggle with depression, anxiety, eating disorders or an all over feeling that live is not giving you enough or the contact fight of pushing yourself. It is for every woman who is ready to feel freedom from inside, to find inner strength, to love yourself and your imperfections, to let go of your battles and to forgive yourself. The Shift uses a wider approach of therapy and holistic treatments to reconnect with your own power and to start creating a healthy relationship with yourself. 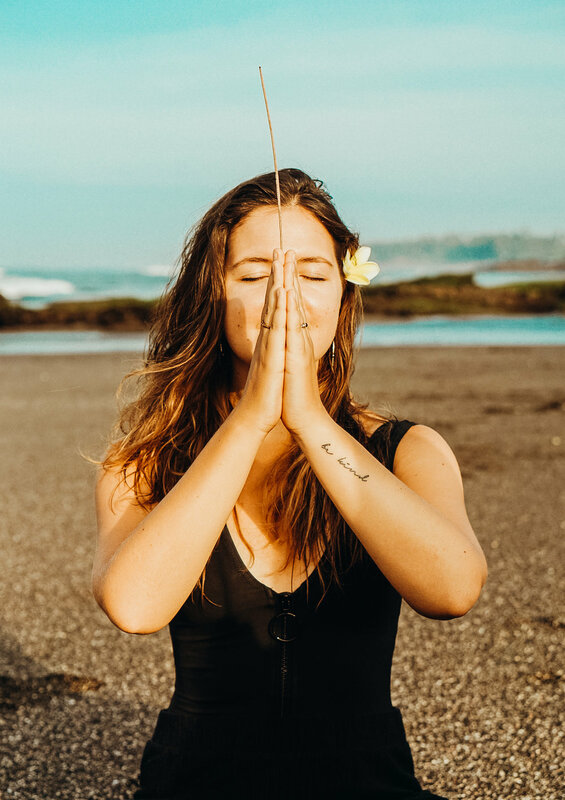 The shift includes meditation, yoga, pranayama, mirror work therapy, art therapy, music therapy, healing therapy, trauma release therapy, surf lessons and one-on-one coaching with a hands one expert. Why is it that so many beautiful young women suffer from depression? Is taking antidepressants really the solution to heal? We believe there is a powerful holistic way to heal from depression, without taking strong medication. We believe depression is a result of depressing your emotions and a lack of self-connection. In the Western world we are not taught how to use our emotions. Be Kind believes this is a priority in order to grow in life. Why is it so important to release our emotions? Emotional energy is very powerful, both negative and positive. When we express our emotions, we feel light and in control of ourselves. When we depress our emotions, we might feel heavy and have the feeling we are out of control. When the energy is blocked, we feel disconnected with ourselves and mostly unhappy. When we block one of our emotions for a long time, depression can be a result. Do you already see the connection? Everything is energy. Our emotions are energy and this can result in heavy negative energy or positive light energy. It is all connected to the way you release. The answer is to feel. The more you feel, the more you express. The more you express the more you are connected with yourself and the persons you love. Talk to someone you trust. Whenever you notice you feel down and just want to stay alone, it might be really hard to talk things out, but this is the only solution to make yourself feel better. Move. Start to move your body or move your mind. This will lead to a shift. Find the right help. For everyone there will be a different way of healing when you suffer from a depression. Find a way you feel comfortable with. If you are interested in a more holistic way of healing yourself, the shift might be a good connection for you. Movement (body). In order to heal, we need to get moving, our bodies, emotions and socially. To get the energy flowing throughout your whole being. Mind Focus (mind). Changing your mind perspective allows your energy to move. Meaning (soul). We focus to see things beyond your own world. The Shift is a 3 to 6 weeks holistic treatment program for women who struggle with depression, anxiety, eating disorders or an all over feeling that live is not giving you enough or the contact fight of pushing yourself. It is for every woman who is ready to feel freedom from inside, to find inner strength back, to love yourself and your imperfections, to let go of your struggle and to forgive yourself. The Shift uses a wider approach of therapy and holistic treatments to reconnect with your own power and start to create a healthy relationship with yourself. 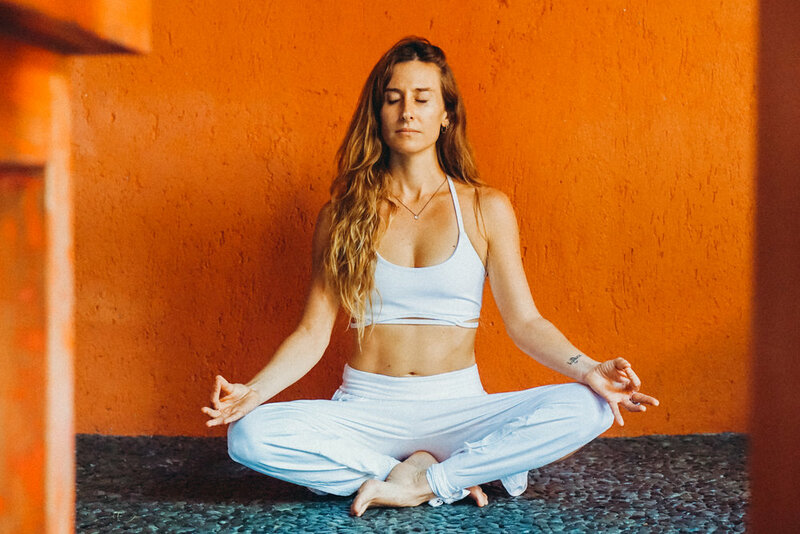 The shift includes: meditation, yoga, pranayama, mirror work therapy, art therapy, music therapy, healing therapy, surf lessons and one on one coaching with a hands one expert. And always remember whenever you feel lonely, like Rumi says: "the entire universe is inside you". You are loved. You are worthy. You matter. You are beautiful. You are not alone. You are deserving. You are forgiven.